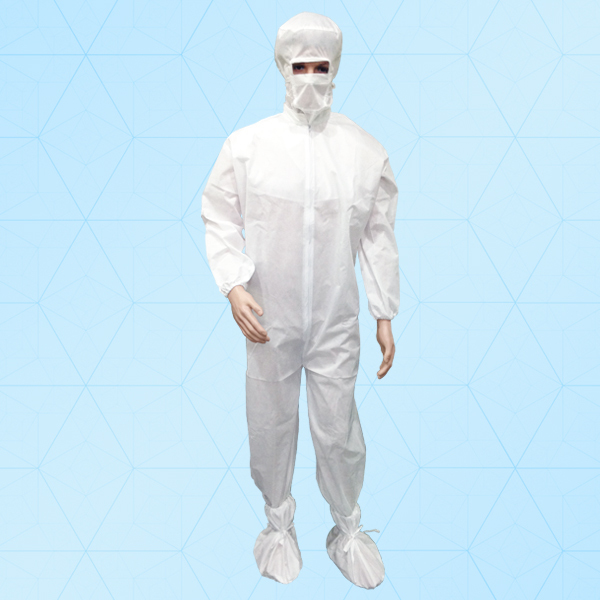 Kitten cleanroom disposable coverall product is designed and manufactured to meet the stringent demands of the cleanroom industry. Manufactured from a SMMMS fabric lightweight, low linting material, our product provide excellent comfort, breathability and water vapor transmission rates. Our product is available sterile by gamma irradiation and is compatible with ISO class 4/5/6/7. The garment features a zip front with protective fabric flap and elasticated hood, back, cuffs and ankles and thumb loops on the wrist and lot number on it.